I had arrived at Dom Im Berg, the main venue of the annual Elevate Festival, a four-day gathering for indie music and political culture that this year is devoted to the commons. Interest in the commons has been gaining some momentum in Austria and Germany. Some two-thirds of the conference speakers are from those nations, and a number of regional and national media were covering the event. Falter, a national weekly that has a resemblance to the Village Voice of New York City, interviewed me, and devoted another page to DJ Spooky (a.k.a. Paul Miller), the remix artist and cultural philosopher. On Thursday evening, a panel of five of us talked about some of the basic issues facing the commons today. It was a lively affair with an audience exceptionally well-informed about the commons and filled with pointed questions. As a participant, I couldn’t take notes, so here is my recollection of the fascinating two-hour session. Paul Miller, a beret-wearing cosmopolitan who lives in New York, is the living embodiment of collaboration. His CD remixes and audio-visual deejay performances “steal” materials from every imaginable source. But he has earned his eclecticism honestly. He travels constantly to music-making subcultures around the world, from indigenous to electronic to underground — and then produces something “new.” He waxed lyrical about a gig he had done for New Year’s Eve on the beaches of Rio de Janeiro. He informed us that he had recently spent six weeks in Angola. Miller gave out a variety of his remix CDs to the audience, and told them to check out the artists he had remixed and then trade them according to one’s taste. Want a Madonna remix instead of Public Enemy? Then trade with your neighbor, and get an informal social circuit going. That’s remix. Besides doing remixes, Miller thinks a lot about the philosophy and meaning of music sampling. This is reflected in a new book that he just published, Sound Unbound (MIT Press), an anthology of essays about music sampling by the likes of Sun Ra, Philip Glass, William Burroughs, and a few dozen others. In his remarks, Miller pointed out the artificiality of “authorship” because in practice no one creates something entirely new. We are constantly borrowing from the past and from our peers, and then remixing it into something “new.” Why should the most recent individual “author” get all the credit for the work, as copyright law mandates? Ronaldo Lemos, the head of the Creative Commons in Brazil and of the international free culture group iCommons, offered an excellent complement to Miller. Lemos has extensively studied the tecno brega scene in Brazil, a homegrown, underground music scene that is forging a new business model for music entirely. Most of the tecno brega artists and bands don’t care about copyright at all. They sell tens of thousands of CDs, but not through record labels or conventional stores. They produce their CDs directly and distribute them through street vendors, many of whom are also selling pirated music CDs. What matters is getting the music out to as many people as possible — which serves as an inducement to attract them to weekly “sound system” parties where bands perform. After the performances, the bands sell just-recorded CDs of the local performance as a kind of keepsake of the event. The tecno brega scene is not just a modest local market, said Lemos. It generates millions of dollars for the bands involved. Lemos noted that when a survey was done of the listening tastes of Brazilian music fans, four of the top ten performers did not even have record labels! Calypso, the number one band, has even rejected the record labels because it can make much more money through its direct marketing of CDs. Despite such developments, Lemos said that he is pessimistic about the future. Even though novel business models for indie music are proliferating, reactionary forces are trying to make copyright law even stricter — and may succeed. The Brazilian legislature is currently considering a bill that would increase penalties for copyright violations. This scenario — new open business models and more restrictive copyright rules — mirrors the politics of copyright in the U.S., too. An epic battle is playing out over which modes of cultural production will prevail — closed and proprietary or open and free? Michael Tuck is a history teacher from Wilmington, North Carolina, who is one of the heads of the History Commons. The project is a kind of user-generated reference guide to hundreds of historical topics, blending amateur historical research with citizen-journalism. It is, in short, a massive site for distributed history-writing by talented amateurs. Unlike Wikipedia, the History Commons does exercise some modest control in editing content, but it is extremely open to volunteers who wish to initiate and edit a given historical topic. One of the most popular topics is the “Complete 9/11 Timeline,” which recounts relevant details leading up to that event. But in one sign of the site’s editorial oversight, Tuck refused to let 9/11 conspiracy buffs post their histories on the History Commons. Kaitlin Thaney of the Science Commons, a spinoff project of Creative Commons, explained how one of the great challenges facing scientists today is finding highly precise scientific information amidst the huge explosion of research being generated every day. Another challenge is overcoming legal and technical barriers in order to share knowledge and collaborate on new research. Science Commons works with a number of major science institutions and academic disciplines to develop new “infrastructure” — legal rules, computer systems and social practices — that will let knowledge flow more freely. The goal is to “accelerate the research cycle,” as the group puts it. 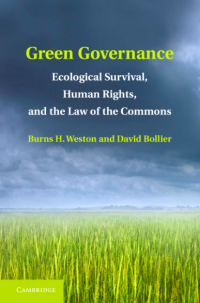 In my remarks, I focused on a familiar theme to readers of this blog: the value of the commons in helping us to “see” one of the great issues of our time, the market enclosure of our common wealth. The commons helps us see that the privatization of culture, genetic knowledge and public lands, and commercial instrusions into public spaces, social life and wilderness, are related. They are all aspects of the same phenomenon. 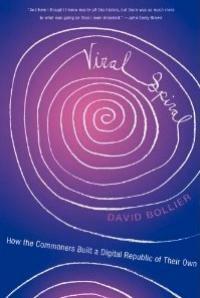 I also noted how a language of the commons helps us recognize the role of socially created value. 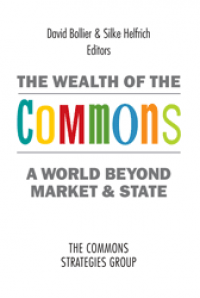 The commons is a vehicle for generating value. Champions of market activity like to claim that market exchange is the chief or only serious source of wealth. This makes it easier for markets to trample upon the commons because ostensibly there is nothing of value being lost. 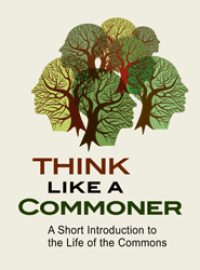 It enables economics and public policy to marginalize or ignore the value of the commons. 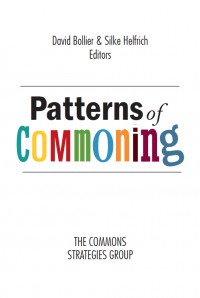 Naming the social communities that have a stake in a given commons is an antidote. It helps us validate the existence of value. It is not “exchange value” denoted by a price, but rather another important species of value. A self-acknowledged “leftist” in the audience raised a question about the Creative Commons licenses that is sometimes heard: Don’t the licenses just reinforce the discourse of property rights and libertarianism? Aren’t the licenses just a “liberal fix” of a copyright system that ought to be dismantled? From a previous conversation with Ronaldo Lemos, I had learned that the real significance of the CC licenses is not their legal role, but their role in organizing communities of practice dedicated to sharing. This is a vital point. 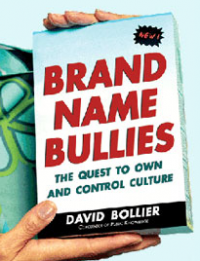 It is tempting to see the licenses as the “main event,” but one can persuasively argue that their most important purpose has been to bring together creators of all sorts and make them visible as a cultural force. The licenses became a “focal object” that helped name and organize the social practices of millions of bloggers, remix artists, websites, wikis and other online commoners. The question about the CC licenses helped clarify a point for me: Yes, let us focus on the public policies and laws that we need to protect the commons. But let us not confuse any triumphs in these areas with the equally important (or prior) task of building communities of practice that will be able to rally to protect, improve and share our common wealth. That, not the law alone, will be the best guarantor of the commons. After the conference panel, DJ Spooky revved up his turntables and laptop, and put on a memorable audio-visual performance for hundreds of Austrians, most of them under 40. We were suddenly awash in countless fragments of music, television, film, pop culture, advertisements, government propaganda and other artifacts that triggered instant responses. It was a sensory immersion of pulsating sounds and images, leaving no time to think or describe, but only to feel. And then there was the setting. Schlossberg had been hollowed out during World War II as a shelter during Allied bombing raids. There were literally dozens of rooms in the mountain and many miles of tunnel, enabling some 40,000 people to take refuge as the bombs fell. Our primordial cavern was just one of the rooms, now the scene for a blitzkrieg performance of electronic culture: a remix of Schlossberg Hill.